Today it's snowin' all up in my corner of Blogland! I'll get right to it before it melts! You've seen me repurpose a sediment stamp before by cutting the words apart and rearranging them to fit my design, which I needed to do with "celebrate the season" on this card. I love the font used in these stamps and enjoy using them, so I made it work. Don't be afraid. A lot of you are here to hop the Papertrey Ink November 2014 Blog Hop monthly challenge, where the theme this month is "SNOW." If you need to just leave a comment and hop along, I understand. Thank you for your visit! For those of you who have another few minutes, this is Part B of my stamp repurposing. Like Sunday's card, the idea for this card also came about because of the Craft Stamper's challenge this month to use non-holiday stamps for a holiday card. Isn't it extraordinary? Just in overall design, it's magnificent, but what makes it even more extraordinary is that Chrissie's beautifully stylized bird is made from a leaf! Wait. What? Yes, no, you heard me right! Once again I performed a bit of surgery, but this time it was to my paper and not my stamp. I simply fussy-cut the doodled bird, removed his tail and headdress and then added a penguin beak and penguin feet. Not a drastic change, but still a lesson in how you can "find" stamps you didn't even know you had in your stash. Like a penguin. A little imagination and shazambam! Thank you, Chrissie, for the inspiration! Hammy was beside himself over the sparkly red tail feathers. He thinks it's a riot that it looks like the silly bird is standing on top of a roaring campfire! But bird doesn't care, he has a big present to open! His present is made with PTI's "Make a Wish" die. Those snowflakes are white metal brads from SU onto which I glued minischool stars. The snow on my cards today was created with a NBUS jar of "Aleene's snow." It was fun! And, as always, thank you for coming by to visit the Playhouse and special thanks to you if you take the time to leave a comment and/or join as a follower! Please let me know you came by, so I can be sure and return the flavor! really fun card, darnell! love your cute little penguin! thanks so much for the lovely comment! What a fun card Darnell, how do you manage to get them to line up afterwards? I have a set that allows you to add 's but:) it always falls away or is skew wiff! Love your adorable card, Darnell! How clever to turn the bird into a penguin. Super cute!! What a fun cards Darnell and if they were in reverse order on your blog post, I would have thought that the bird sat on the fire and burned himself so had to jump on some ice to reduce the pain and cool off!!! Super fun cards Darnell! Great job repurposing those stamps! Hi Darnell . . . well, what can I say? Hammy did you proud! Two fabulously fun cards here with bling too! Darnell...I am not surprised at what you are doing with these stamps and repurposing them, with that cute little hamster in your head, its no wonder that you don't do more of this. I love your sweet card. Enjoy your day! FUN and cute, cute card! Love the snow bird/penguin! That "snow" looks like fun too. Darnell just love your fun card and that little penquin is so adorable..
You are so clever! Love how you made the bird into a penguin! Happy Thanksgiving! So clever and just too cute! Love these cards. Love these cards - so cute! Miss Darnell...just me back again. Not sure how I missed this, but thank you so much for playing along with us at Simply Create Too. Gorgeous CASE, love it! Thank you for sharing with Simply Create Too. Your bird cards are super cute. Wonderful job of making a new stamp out of an old one! love your penguin! Can I just say, love that you gave us the bird, both of them. Seriously, both are very clever...think the hamster is aching for roasted bird for lunch???? I do love penguins, and these are so unusual. Fab use of all the stamps, and what a very clever idea to make the sentiments stamps look different. 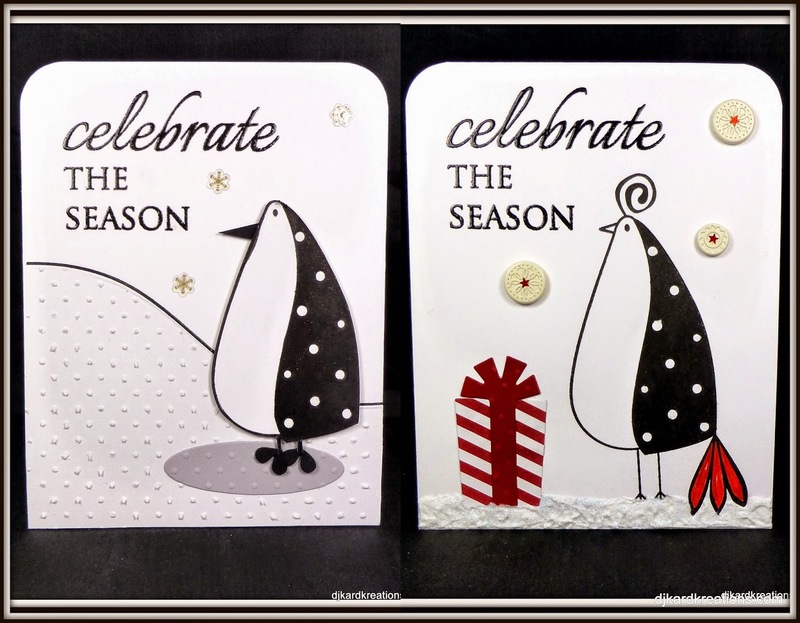 Two fun cards with your penquin bird Darnell! That is so cute making the bird a penguin. Cool card design. Wowzers...talk about a post that is jam packed with creativity! It's gotta be so exciting coming up amazing/resourceful ideas like this! No wonder Hammie was going a tad bit squirrelly! Black/white & polka dots rule! Black/white/red rocks! Yep - winners circle for sure! You've showed us two fab cards today, Darnell, and I love the inspiration on how to use stamps in different ways. Your bird also works brilliantly as a penguin!!! Wishing you and you family a Blessed Thanksgiving! Oh such clever cards Darnell! Oh for the love of PENGUINS, these cards are so adorable, Darnell! I just love the first black and white one...with him standing on that little icy patch :) The one with the buttons and the stripedy package is sure to bring BIG smiles! Both of your cards are great. Love the bird with the pop of red. Fun and colourful. Two super cards Darnell, I love the way you altered the stamp to look like penguin. I do it quite often with sentiment stamps, but i must try looking at my other stamps in a different way. I must say I like the idea of polka dot birds.! Stunning and clever cards, love then to bits and a fab take on Chrissie's wonderful card. Such fantastic cards Darnell. I love the way you have altered the stamp to transform him into a cute penguin and your Christmas Doodled bird is equally wonderful. Thanks to you and Hammy for the inspiration. 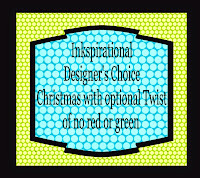 The extraordinary creativity and please, we have a two lovely card. They are beautiful. Cute cards! Love the variety with the same stamp. So fun!! You always entertain me and transformed the penguin! !I hope you and your family have a wonderful Thanksgiving! Love your card your penguin is adorable!! Beautiful and adorable! I just LOVE penguins! Loved reading how you made your penguin! I love both cards! How FUN are your penguins!! Another pair of SUPER DUPER cute cards Darnell!! Such fun birds, Darnell! I often cut stamps apart. Sometimes I wish I hadn't but mostly I like getting the extra mileage! Hope you have a wonderful Thanksgiving with your family! All mine are coming here. Fun! Love the polka-dotted penguin! How did you make his feet or did I miss that part in your description? Super cute birds! I shall have to search for this stamp set!! Such cute cards :) I love how you altered the stamp so that it will work for your card, it looks really nice. Great job!!! both cards are so adorably cute! Have a Happy Thanksgiving! Thanks for visiting my blog today and leaving a sweet comment. I love your blog and these darling snowy creations. Beautiful. I also couldn't help but click on your playhouse. What a fun room! How blessed to have not just a space to craft, but a gorgeous, dedicated room (with air-conditioning!!!) I have a beautiful desk on the top floor of my city condo. It's spacious and light and I love it. I'm sure you have a spring to your step when you head outside and into your crafting haven! Have a great thanksgiving and I'll be back to visit your blog again! How fun that you made two snowy cards with this bird/penguin stamp! Very creative! Both are totally adorable! Cute penguin card. Very creative way you used the bird stamp. Very creative to use the doodle bird as a penguin. Great cards. You are clever Darnell. I love your penguin...he is so darn cute - as is your other bird! I love penguins. Your card is awesome! Fabulous cards!! You know I'm loving penguins right now! And I agree with you ... Chrissie's card is amazing ... who knew that was a leaf? Such a fun Penguin card...love him. WOW, Darnell, what GREAT cards!!! Love your super cool penguin and his brother with the thin legs and small feet and burning tail feathers!!! You are so clever and very creative, Darnell!!!! Awww, what a cute use of this stamp set to create a penguin! Thanks for sharing on the Friday Mashup. Oh my goodness Darnell, your penquin is so cute!! What a creative use of stamps and great card! Thanks for joining us at Inkspirational! These are totally cute!! I LOVE the way you CAS the penguin card. The snow at the bottom in a perfect touch!! So thinking out side of the box to make it into a penguin!! All the cards are wonderful but I must admit z I got lost in all of your comments!! I would love to take a look at Mt. NBUS, Darnell. You have some of the most interesting things there. I love the idea of repurposing, although I don't often "see" it, but your penquin is so perfect. I love the background you gave him, too. Love your funky penguin! and as always - your blog post is hilarious! Your penguin is fantastic--see what a bit of plastic surgery can do to our feathered friends! So sorry to be late to the blog hop, but I've had a house full of family. Hope you had a wonderful Thanksgiving. These are both adorably cute, cute, cute! 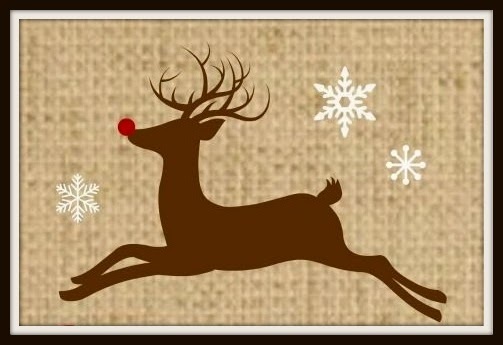 Hope to see you at my blog, for the January Rudolph Day Challenge. Two fun cards. I love both your birdies, and your stamp surgery. I´ve done that myself before now, so I know where you are coming from. Sorry I´m so late visiting. This is the first time I´ve been able to use the internet since I posted my cards. I think it´s got Christmas-itis already. This baby jumped right out of the SCT gallery at me, DJK. I KNEW that guy looked familiar but not until I saw him in all his glory on the acetate sheet die I actually recognize him. Great job on your stamp surgery - in all its ways. I love the stark B/W combo. And of course the dots! Whee! What fun cards. I think I like the post-op bird better. He seems a bit down with the droopy tail feathers. Hurray! So happy to see your win at Inkspirational! Whoo hoo! It looks like your creativeness paid off. Congrats on your Inkspirational win.